When it comes to the stock market, there are a bunch of positives. Markets are at all-time highs and have strong momentum. Valuations are reasonable on a forward basis. The economy is as healthy as it has been in some time. Unemployment is at all-time-low levels. Wage growth is starting to pick up. Consumer spending, strength and confidence are all at decade high levels. Corporate sales and earnings growth is as robust as it has been in recent memory. Trade war tensions appear to be deescalating. All in all, the backdrop for stocks to head higher is quite favorable. Indeed, I think the S&P 500 is set to rally another 5%-6% into the end of the year. But, that doesn’t mean investors should ignore the risks. The yield curve is close to inverting. Inflation is picking up. Yields are heading higher and could pressure equity valuations. China trade risks are still very real. National debt is a problem. Thus, while investors should remain long the growth names that have powered this bull market higher, they also shouldn’t forget to pad their portfolios with some risk-protection through blue-chip dividend stocks. But, as an investor, I hate buying blue-chip dividend stocks that don’t go anywhere. I like my blue-chip dividend stocks to compound my dividend yield with capital gains. 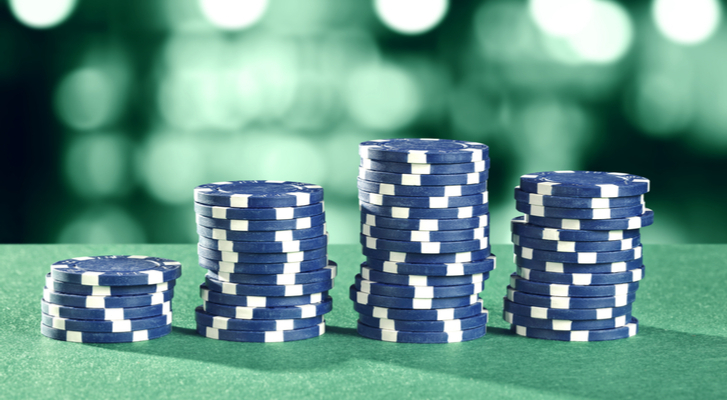 I’ve put together a list of three blue-chip dividend stocks which I think will do just that. These stocks not only have stellar yields, but they should also rise from here given favorable fundamentals. That combination means these dividend stocks are worth considering for your portfolio. Oil prices are breaking out of their multiyear slump and hitting prices not seen since the big oil crash in late 2014. The catalyst? Steady production cuts from OPEC and other big oil producers. These production cuts are likely here to stay, and demand is picking up thanks to global economic strength, so oil prices should remain higher for longer. That means it is time to buy oil stocks. 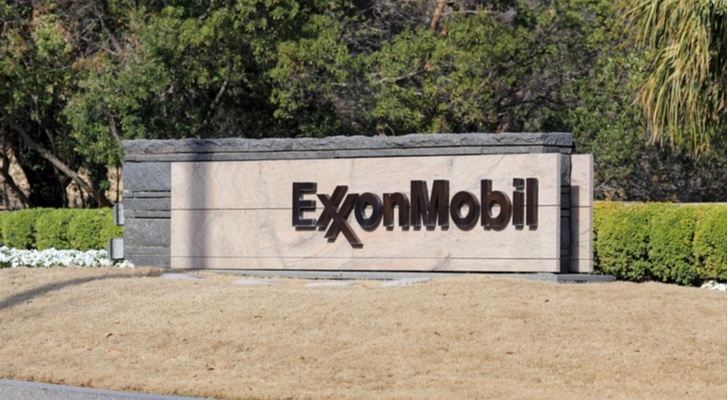 The best oil stock to buy to play this rally is blue-chip giant Exxon Mobil Corporation (NYSE:XOM). Because the company hugely benefits from higher prices at the pump, this is a stock that is set to win as oil prices rise. Indeed, historically speaking, XOM stock tends to track oil prices closely. As oil prices fall, so does XOM stock. As oil prices rise, so does XOM stock. Importantly, though, XOM stock’s volatility in these moves is relatively muted compared to oil price volatility. This is because XOM is a giant business with tons of cash flows, big buyback power, a healthy dividend and a long history of success. Those stable attributes help smooth out the volatility in oil prices. From this perspective, XOM stock is a less risky way to play a rise in oil prices. On the dividend side of things, XOM stock features an attractive 3.8% dividend yield. That is on the high side of where this yield has been over the past five years. Thus, so long as oil prices remain high, XOM stock should outperform. The narrative surrounding chip giant Intel (NASDAQ:INTC) has been largely negative for some time now. But, this negative narrative is changing course, and the undervalued Intel stock is now set to rally. The narrative in the chip industry has been dominated by the fact that Intel is struggling with next-gen chip production. These struggles have opened the gates for competition to gain share. And as the competition has gained share, Intel stock has dropped. Moreover, INTC has refused to bounce back because next-gen chip production issues hadn’t been resolved. 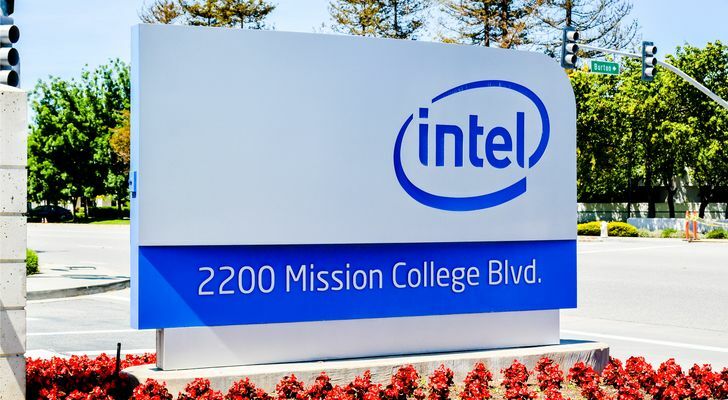 Intel’s most recent supply update pointed to 10nm yields improving, and importantly reiterated volume production for 10nm chips in 2019. The previous consensus was late 2019 volume production. Thus, murmurs are now circulating that volume production could start in early or mid 2019. Indeed, BlueFin Research Partners thinks that, based on improving yields, volume production could happen as soon as June 2019. In other words, the narrative surrounding Intel stock is changing course from “Intel is losing share” to “Intel is getting ready to punch back.” As this narrative shift plays out, investor sentiment will improve. Improving investor sentiment will drive Intel stock, which trades at just 11X forward earnings, way higher. On the dividend side of things, INTC stock features a 2.5% dividend yield. That is lower than the five-year average. But, growth is also above where it has been over the past five years. Thus, higher growth cancels out the lower dividend, and against the backdrop of 10%-plus earnings growth, a 2.4% yield is quite attractive. 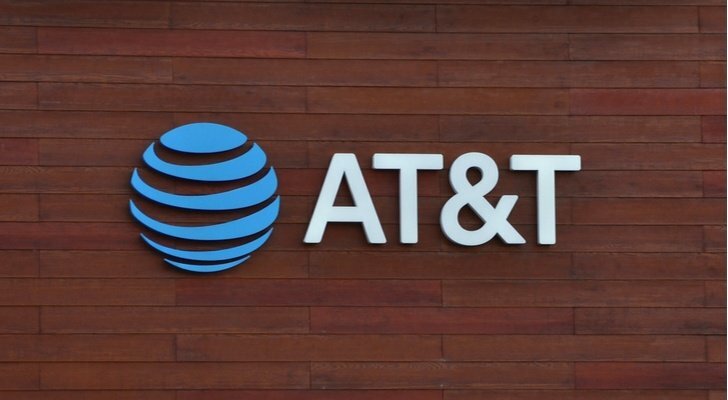 Mr. Market has been bearish on AT&T (NYSE:T) ever since the company was cleared to acquire Time Warner (NYSE:TWX). The general consensus appears to be that AT&T is inheriting a ton of debt to acquire assets that don’t scream hyper-growth. With interest rates rising, the only obvious result of this acquisition is higher recurring interest expense. But, I think this simple analysis misses the big picture. In the big picture, AT&T is transforming into a multi-faceted media conglomerate. In so doing, the company is ensuring itself a brighter future. The logic here is pretty simple. Traditional telecoms are somewhat antiquated. Sure, the wireless business is doing great and projects to do great for the foreseeable future thanks to robust IoT growth. But, the wired business is suffering a slow and painful death. Cord-cutting is happening everywhere. It isn’t going to stop soon. That means that if telecom giants like AT&T don’t adjust, a healthy portion of their business will be swallowed up by streaming services. The best way to adjust is to compete. And, the best way to compete is by pivoting into streaming. That is exactly what AT&T is doing. In the streaming world, the only way you succeed at scale is by having a robust content portfolio that is both better than and different from content offered through other streaming services. Time Warner gives AT&T the assets to do just that. Time Warner is the company behind blockbuster hits like Wonder Woman, Dunkirk and It. The company also owns CNN, TNT, TBS and Cartoon Network, in addition to HBO and Cinemax. Packaging all of those assets into a single streaming platform with both on-demand and live video streaming options seems like a compelling value prop. As such, I expect AT&T’s pivot into streaming over the next several years to be successful. Plus, the company already operates DirecTV Now, which has been a bright spot for AT&T’s otherwise struggling wired business. At present levels, AT&T stock just isn’t priced for any upside from streaming. The stock trades at 9X forward earnings. The dividend yield is near a five-year high of 5.8%. And, the free cash flow yield is right around 9.3%, also near five-year highs. In the big picture, then, the risk-reward asymmetry on AT&T stock seems favorable for the foreseeable future. So long as this company offsets cord-cutting weakness with streaming strength, AT&T stock should head higher. As of this writing, Luke Lango was long XOM, INTC and T.
Article printed from InvestorPlace Media, https://investorplace.com/2018/10/3-blue-chip-dividend-stocks-to-consider/.